The Real Housewives of Atlanta is apparently due for a major shake-up. 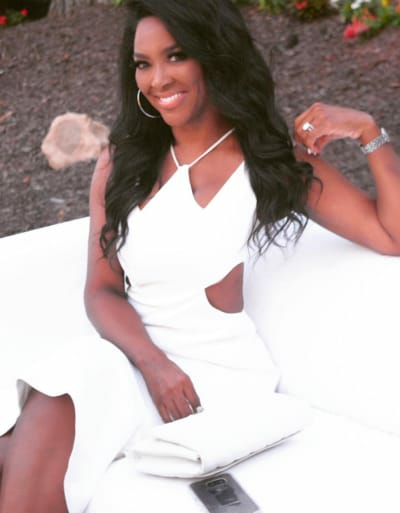 Accusations claim that Kenya Moore faked an explosive meltdown to avoid getting fired, but it looks like it was all in vain. Because she’s reportedly getting canned. And she’s going to hate who’s taking her place. Oh, wait — she already does. 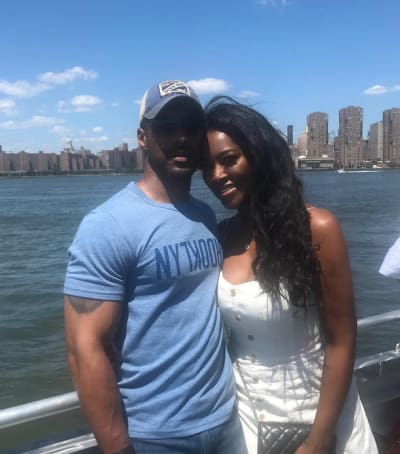 Kenya Moore has been in hot water with producers and the network ever since her secret wedding to Marc Daly. Imagine, if you will, that one of the stars of Finding Bigfoot actually found a bigfoot and just decided to keep it secret and didn’t tell anyone else or invite cameras along, and instead just kept their woodsy version of The Shape of Water quiet for a while. Well, that’s the cryptozoological equivalent of what Kenya did. She’s a reality star. The whole point of that is that major life events like weddings and children get documented for the cameras. She’s compensated as a The Real Housewives of Atlanta star with a huge paycheck. Since her husband refuses to go on camera, she’s been keeping an entire facet of her life off of the camera. RadarOnline reports that Kenye Moore is finally getting fired over her unseen husband. To be fair, though producers are understandably unhappy with Kenya, who literally signed up to be a reality star and share her life with the world, this isn’t entirely on her. Marc Daly is the one who refuses to appear on the show. Kenya’s done her best to stay interesting enough to keep her peach, even storming out in a rage at a hurricane relief event. But as much as Kenya’s likely to hate leaving, she’s going to hate her replacement even more. According to RadarOnline‘s source, Kim Zolciak will be returning from “friend of the Housewives” status to being a full Housewife again. Earlier reports that Kim Zolciak was begging to return to RHOA indicate that Kim was probably delighted. According to this source, their reason for inviting Kim back is because she’s a proven success. What’s more — Kim Zolciak isn’t shy about showing her whole, huge, family. 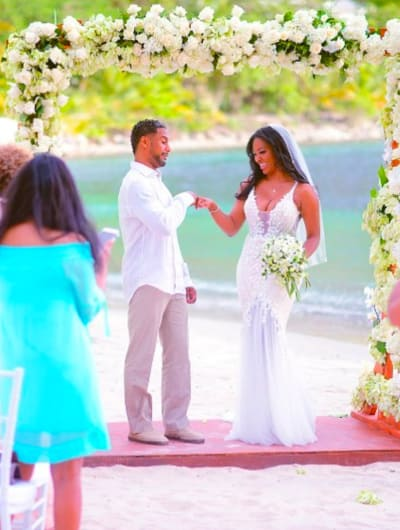 From the outset, fans knew that Kenya Moore had to choose between her husband and her job. As we mentioned, this all stems from Marc Daly’s refusal to let RHOA’s cameras film him. His reason is apparently that he believes that The Real Housewives of Atlanta portrays black men in a negative light while portraying white men as better partners, husbands, and fathers. He has a point — not only is a lot of reality television built around editing, but it’s not like Real Housewives are chosen as representative samples of communities. Producers can cherrypick, consciously or subconsciously. And Marc Daly isn’t the only person who’s noticed this. Entire scholarly articles have been dedicated to the topic (yes, really), and on a broader level, many have observed that reality television tends to paint black people in particular in a negative light. Of course, none of that explains why Marc Daly and Kenya Moore decided to tie the knot despite this. As with any unconfirmed report, we should take this one with a grain of salt. People have been wondering since last summer if Kenya Moore would get the boot over this. It’s no surprise that word is going around that she is, but right now, it’s not confirmed. Similarly, Kim Zolciak is one of the most recognizable Housewives on RHOA, but that doesn’t mean that she’s actually coming back. Even though she really wants to. A lot can change leading up to an announcement. Maybe Kenya — or Marc — will find a way to convince producers to let her stay on. Fixer Upper Couple: We Were Deceived by Magnolia Realty! Previous story June Shannon: I’m Going BLIND!